In an “absolutely unprecedented” discovery, paleontologists have recovered as many as 47 skeletal specimens belonging to a hitherto unknown species of pterosaurs, the ancient flying dinosaurs, from the southern part of Brazil. Christened as Caiuajara dobruskii, this entirely new breed of prehistoric airborne reptiles is believed to have inhabited a desert lake of the Cretaceous period, nearly 100 million to 60 million years ago. 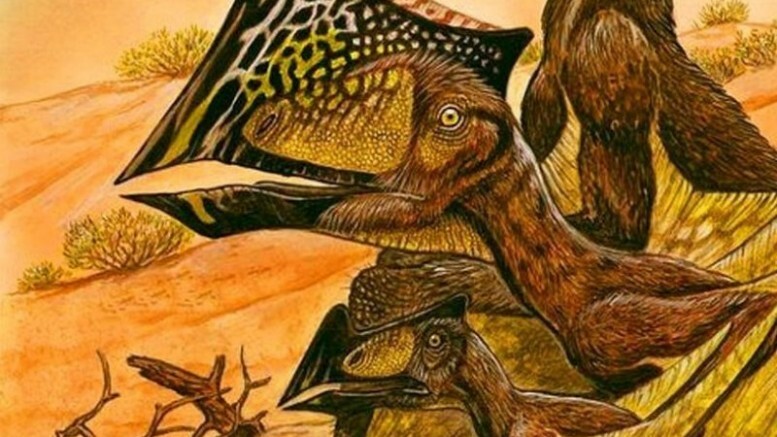 The species is named after Alexandre Dobruskii and João Dobruski, the local father-son duo responsible for the first sighting of the fossilized skeletons at Cruzeiro do Oeste region in the southern Parana, back in 1971. Since then, paleontologists working at the fossil site have unearthed nearly 47 excellently preserved fossil remnants of both young and adult individuals. The study, published on August 13 in the journal Public Library of Science ONE, states that the find consists of individuals with wingspans varying from 2-feet (0.65 m) to about 8-feet (2.35 m). Although technically a pterosaur, the C. dobruskii had a uniquely shaped head, with a massive triangular bony projection jutting out from in between its eyes. The presence of three main levels of accumulation in a section of less than one metre suggests that this region was home to pterosaur populations for an extended period of time…It is also plausible that Caiuajara was a migratory pterosaur that visited this area from time to time, although the first possibility is favoured here…The causes of death remain unknown, although similarities with dinosaur drought-related mortality are striking. 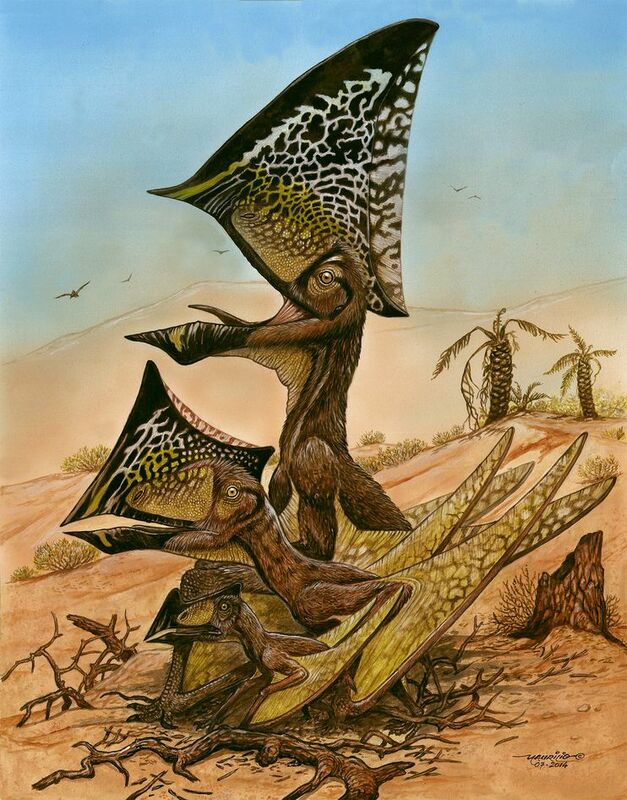 However, it is also possible that desert storms could have been responsible for the occasional demise of these pterosaurs. The find serves as “the best evidence ever uncovered” to suggest that these airborne reptiles might have existed in colonies, and might have come so far away from their preferred habitats of oceans and lagoons in search of an oasis or an inland lake. The study also offers valuable insight into the process involved in the gradual development of C. dobruskii from the early years to adulthood. There is substantial evidence which suggests that the young pterosaurs led quite an independent existence, much like the modern day reptiles such as crocodiles. Being equally well-developed as the adults of the species, they were adept at flying right from the birth. 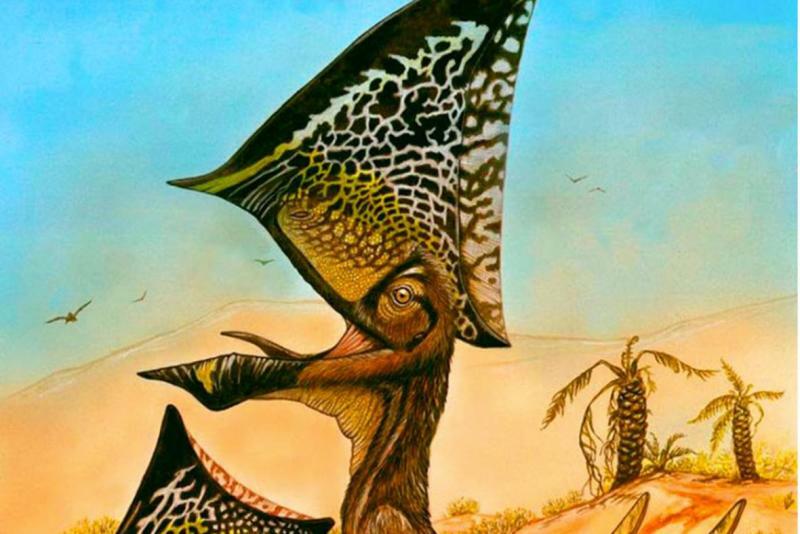 In a separate study recently published in ZooKeys, researchers have concluded that pterosaurs, widely regarded as the first flying vertebrates, were also amongst the most abundantly occurring ancient creatures of the late Cretaceous age. 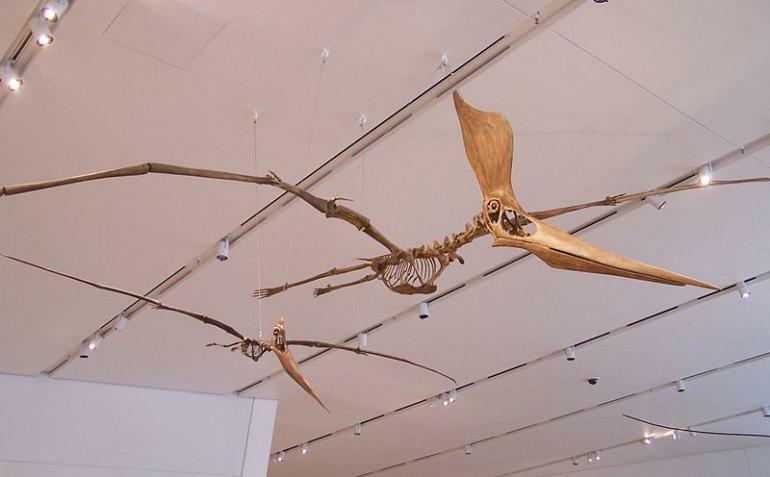 Possibly found throughout the planet, these enormous toothless pterosaurs favored lakes, rivers and other large coastal areas.